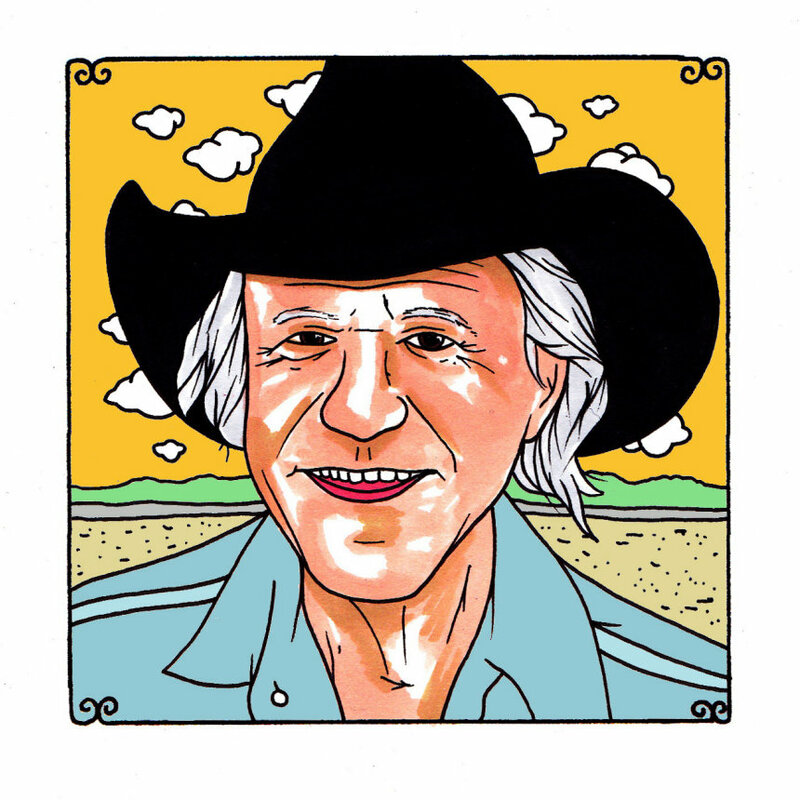 Billy Joe Shaver is all redemption. It's all that he puts his soul into. It might be the only thing that deserves any effort or energy at all at a certain point in life, when you can look behind you a bit more and see what's been left in the wake, what's been swept under the rugs and into the shadowy corners. It's that belief that, no matter what kind of mangling you might have done and gotten into down here, there's that sweet promise of some sort of unimaginable glory beyond. On the other side of the curtain, there's a place that you can be ushered to - a roped off, VIP section even, where you'll have your own bartender, if you've kept your heart golden and good, in spite of all of the mistakes you've made, all of the sins you've signed your name to, all of the people that you've caused pain over your many wobbly and worn years. Shaver, the outlaw legend from Texas, has known and created plenty of scrapes in his 73 years. He's likely been the instigator more times than he can count, but, in no uncertain terms, he's bound for somewhere better when he goes. He believes the same for those that he ran around with, hellraising and kicking up rocks, squealing around and spinning out in their younger days, when mistakes were adventures, not forbidden or frowned upon. It's a beautiful thing, to not doubt the ascension to something more graceful. Shaver sings often about this nearly sure thing, when hearts are drawn back together, when wounds have been mended, when hearts are unbroken and tears have been dried - when spirits are poured back into the straightened out, tamed and more loving younger bodies, now finally able to behave properly and not get too carried away with frivolous moments. He sings about God saving his fallen angels, that, "All their sins will be forgiven in a twinkle of an eye." He warns mothers and fathers to raise their children correctly, to lead them so that the darkness won't take them, so that they will find the light without creating too much wreckage. These are all points that Shaver might have learned the hard way, lessons that all of his buddies might have learned the hard way, but all of which are now so evident. He sings, "There's a story in the Bible, bout the eagle growing old/How it grows new sets of feathers and how it becomes both young and strong/Then it spreads its mighty wingspan/Out across the open sky/We will have the wings of eagles/When the fallen angels fly." It's all so very hopeful, as if nothing was going to get in the way of that outcome now, not any more, not this guy. Everything has worked its way through his system. He's been cleansed, purified in a way that makes everything feel like a new blessing bestowed. The rottenness and the ugliness won't win the battle. Shaver is sure of it, singing, "When this old world has blown us under and all the stars fall from the sky/Remember someone really loves you/We'll live forever you and I/I'm gonna live forever/I'm gonna cross that river/I'm gonna catch tomorrow now."